(a) In these terms and conditions (the Terms and Conditions), "we", "our" or "us" means Visit Benalla. (b) Please read the Terms and Conditions carefully as they apply to your use of the internet site www.visitbenalla.com.au, www.visitbenalla.com or any other Visit Benalla owned and operated internet site. By using the Site(s) you agree to be bound by the Terms and Conditions including those revisions referred to in (c). (d) You agree that Visit Benalla owns the copyright and trade marks in the marketing logo "Visit Benalla", the domain name(s) visitbenalla.com.au, visitbenalla.com the advertising tag line(s) appearing in Visit Benalla advertisements on the Site(s) and the corporate logo "Visit Benalla" (the Visit Benalla Trade Marks). Visit Benalla reserves all rights in relation to the Visit Benalla Trade Marks. 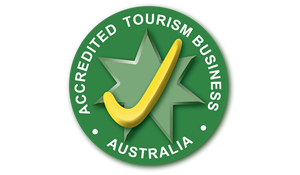 You agree not to use any of the Visit Benalla Trade Marks without our prior written consent. All other trade marks appearing on our Site(s) are the property of their respective owners. (e) Some of the Content on the Site(s), including articles, sponsorships and promotions, constitute paid advertising (Sponsored Content). This means that Visit Benalla may have received a payment or other benefit in return for publishing or disseminating the Sponsored Content on the Site(s). Visit Benalla does not verify, endorse or otherwise approve Sponsored Content. (g) If you consider any Content that has been posted to the Site(s) is offensive, unsuitable or has in some other way breached these Terms and Conditions, please email us using our contact form with a link to the relevant Content and your reasons for objecting to it. We will consider your objection and determine whether the Content should be removed at our sole discretion. (b) You agree that you will not misuse any downloadable Content included on the Site(s), including but not limited to, reproducing, adapting, communicating the Content to the public, including the Content on another website or making misleading or false representations about the Content, unless expressly authorised by Visit Benalla. (x) you agree to your Content being available on the Site(s) for public viewing and comment and that your Content may be used by Visit Benalla or its sub-licensees in any media for an unlimited period of time without remuneration or compensation for any purpose in our sole discretion. (a) You acknowledge that Visit Benalla may or may not pre-screen Content, and that there is no obligation on Visit Benalla to pre-screen Content, and that Visit Benalla shall have the right (but not the obligation) in its sole discretion to pre-screen, refuse or remove any Content provided by you. You agree to indemnify and hold Visit Benalla and its subsidiaries, affiliates, officers, agents, employees, partners and licensors harmless from any claim against us arising out of Content you submit, post, transmit or otherwise make available through the Site(s), your use of the Site(s), your connection to the Site(s), your breach of these Terms and Conditions, or your violation of any rights of another, including all damages, losses, and expenses of any kind (including reasonable legal fees and costs) related to such a claim. 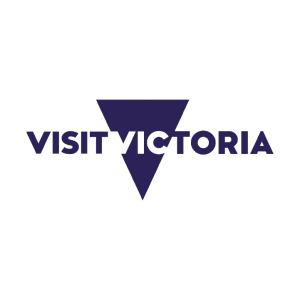 (b) The Terms and Conditions, and the use of the Site(s) and any contents thereof, are in all respects governed by and according to the laws of the State of Victoria, Australia. By using the Site(s), you irrevocably agree to submit to the exclusive jurisdiction of the courts of Victoria, Australia, for the resolution of any dispute of any kind whatsoever, including without limitation any dispute arising out of the interpretation or application of the Terms and Conditions, or your use of the Site(s) or any material contained therein, or accessed thereby.